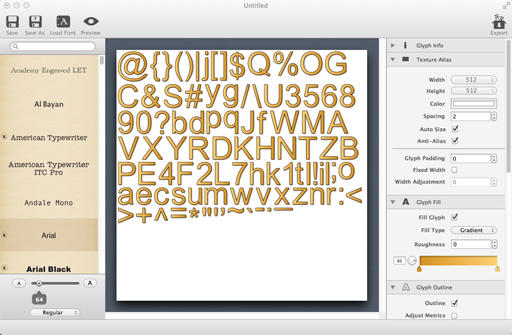 My old font texture creation tool no longer works on the current version of Lion. I found one. It’s called GlyphDesigner from 71squared. It can do everything I want and more. Oh, and I’m not being paid for this post!